Each year on the campus of Notre Dame, the Center hosts its interdisciplinary Fall Conference, the most important venue for truly fruitful dialogue and exchange among the world’s leading Catholic thinkers, as well as those from other traditions, on pressing and vexed questions of ethics, culture, and public policy. The Conference annually attracts more than eight hundred participants and features nearly one hundred paper presentations in disciplines ranging from philosophy, theology, political theory, and law to history, economics, science, and the arts. Recent past speakers include: Nobel Laureate James Heckman, Alasdair MacIntyre, John Finnis, Mary Ann Glendon, Rémi Brague, Charles Taylor, Michael Sandel, and Jean Bethke Elshtain. 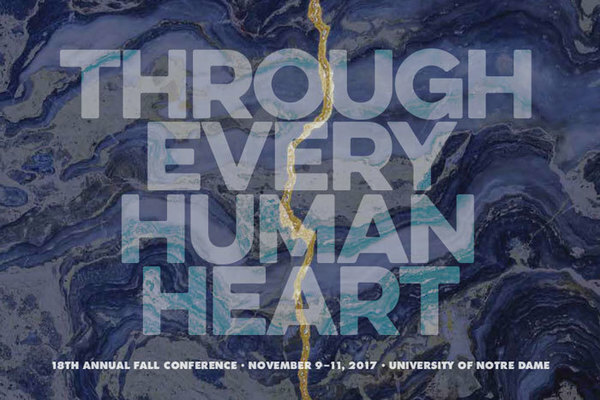 The Notre Dame Center for Ethics and Culture’s 18th Annual Fall Conference will explore the perennial problem of good and evil, the significance of this distinction for human flourishing and the common good, and the place of good and evil in the theory and practice of various academic disciplines. Confirmed speakers include Harvey Mansfield, Jacqueline Rivers, Gary Anderson, James Hankins, Ann Astell, Alasdair MacIntyre, John Finnis, and Elizabeth Lev. The Notre Dame Center for Ethics and Culture is committed to sharing the richness of the Catholic moral and intellectual tradition through teaching, research, and dialogue, at the highest level and across a range of disciplines. Register here for the conference. Rooms at the Morris Inn are available for the rate of $179/night, available via this link.